What is the STCW Basic Safety Training Course Certificate? STCW stands for Standards of Training, Certification and Watchkeeping for Seafarers, and these standards are set by the International Maritime Organisation (IMO). The STCW certificate consists of five basic training courses and is compulsory for all yacht crew. It’s one of the 3 essential certificates/documents yacht crew must obtain and have in possession before you find your first job on a yacht. 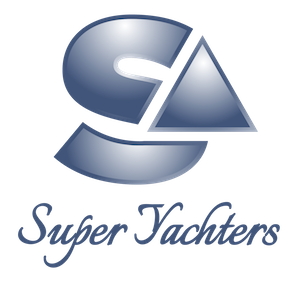 What are The 3 Essential Documents Needed to Work on a Yacht? Question: I want to work on a private yacht or Superyacht do I still need STCW basic safety training certificate? Answer: Yes the STCW basic safety training certificate is required by all seafarers working on commercial vessels above 24m in length. This includes crew working on commercial ships, ferries, cruise ships private yachts and superyachts. Answer: The current STCW basic safety training 2010 is an updated version of the STCW 95 basic safety training. The Manila amendments, adopted on 25th June 2010, marked a revision of the original Convention and Code. The cost of completing all five STCW basic safety training is currently between £700 and £1,300 in the UK, with yacht qualifications valid for five years. Each STCW superyacht training courses can be taken separately, but many yacht crew training centres offer package deals for intensive courses, and costs may vary from country to country. Please note that the costs do not involve any accommodation. What is the STCW Basic Safety Training 2010 Course? The STCW basic safety training will take around 5 days to complete the fundamentals of safety and training for seafarers included in the following modules. Half day course costing £80 to £100. A classroom-based course covering basic safety procedures and accident prevention. You will learn about your legal rights as a seafarer onboard, code of Safe working practices (COSWP) and also touch your responsibilities working and living onboard on pollution prevention (MARPOL). Two-day course costing £480 to £500. You will learn about the different types of fire that can occur, their causes and how they can be prevented and extinguished onboard. Its mostly a practical course, and the proper and safe way to use the firefighting equipment found onboard such as the practical use of the different types of fire extinguishers. Precautions and what to do In the event of a fire. You will don breathing apparatus (BA Kit) and practice extinguishing fires of different types and sizes. Some will be in enclosed spaces filled with smoke (nothing to worry about as its all in a controlled and safe manner overseen by the professional local fire teams). One day course costing £100 to £120. A mixture of practical and classroom-based theory combining the basic first aid and lifesaving skills. This is an excellent course whether you are already trained or have had previous training in first aid. Its always good to refresh your memory and get you into thinking about safety at sea where you may have to improvise until you get back to safe haven. You will learn CPR, how to use a stretcher and apply bandaging and splints to cuts, burns or other injuries. The ways to deal with emergency situations in a safe manner and also get to see and use the most common medical kits that will be onboard every yacht. Many superyachts will have the latest up to date medical packs (military spec) and have a full team of dedicated shoreside support to ensure the crew onboard are in good hands. A short bit of theory to understand the sea survival techniques onboard with some examples of crew stranded at sea surviving using the taught methods. Practical section of the course will be fun and are usually done in a swimming pool or local marinas. You will learn how to properly abandon ship in an emergency, don emersion suits, life jackets and how to safely launch and enter a life raft. You will also learn about search and rescue best methods to be found at sea and how to safely prepare for emergency rescue teams including communications and signals used by the rescue organisations. A short mandatory course providing the minimum requirement of Security training for Yacht crew without any designated security duties onboard. You will learn about the security-related issues that can occur onboard. How Long Does STCW Certificate Last For? Seafarers are required under STCW convention, every five years, to provide evidence of having maintained the required standards of competence to undertake the tasks, duties and responsibilities working on board a yacht. Where Can I Get an STCW Basic Safety Training Certificate? You can book your STCW basic safety training course at any approved maritime academy. Here is our list of Training Centres. It is worth noting, all seafarers alongside the STCW basic safety training are required to complete an ENG1 Medical. A great starting point would be to check out our Ultimate Guide on How to Get a Job on a Superyacht, which mentions how and where to find a yacht job, whether it be by Dock Walking, networking, or through a superyacht crew agency.